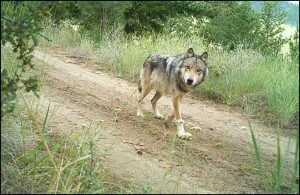 Wolves are pushing mule deer to higher elevations but not shifting white tail habitats, a University of Washington study found. The Spokesman Review is reporting that while mulies are using rugged and rough country to avoid wolves, white tail were positioning themselves to detect wolves early to give themselves a change to flee. Click here for the full story. Despite decades of concerns about jail suicides and some progress being made, jail leaders and elected officials have failed to take all the necessary steps to curb the problem and protect inmates, an investigation by OPB, KUOW and the Northwest News Network has found. Over the past decade, at least 122 people have died by suicide in county jails across Oregon and Washington. Suicide, specifically hanging, is by far the leading single cause of deaths in the region’s jails. It accounts for nearly half of all cases with a known cause of death. Click here for the full story. A teenager who was LifeFlighted to the hospital after falling out of a vehicle in Stevens County has died, according to a GoFundMe account set up in support of his family.